Social media marketing is the process of gaining website traffic and increasing your sales. To be sure, the importance of social media marketing for businesses and organizations is no longer questioned. It has become a worldwide trend. Similarly, it helps businesses and organizations to connect with their customers online. On the other hand, it will increase their brand’s popularity. Significantly, nowadays some business is totally dependable on Social Media. With this in mind, we have designed this Social Media Marketing Course. Important to realize, this course will help you to know how to promote your business effectively online. In other words, it will teach you to achieve the best brand awareness, improved customer service, deeper engagement, and broader reach of your services. It will also help you to manage your reputation, reduce your marketing costs, etc. 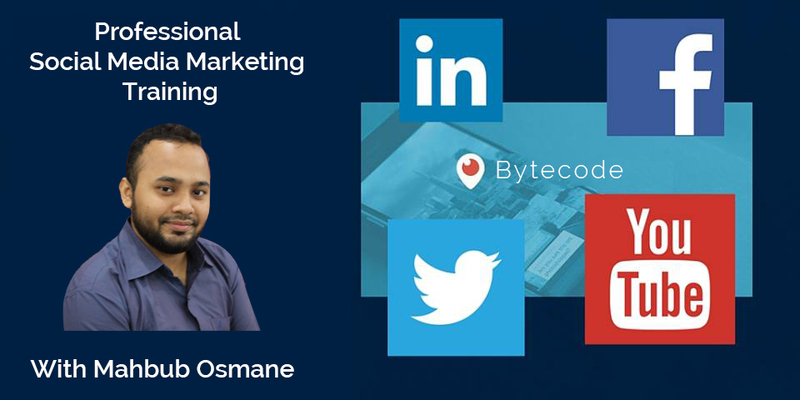 Mahbub Osmane, A leading Social Media Marketer, will explain you the latest techniques and strategies that can engage potential customers. Social Media Marketing is a technique to learn best practices for developing and distributing content through Social Media. Upon completion of this course, you will understand how to do marketing on Facebook, Twitter, Google Plus, YouTube, LinkedIn, Pinterest, and Instagram. Another key point, this course will also help you to start your Freelancing life on Offshore Marketplace like UpWork, Freelancer, etc. as a Social Media Marketer. This will also help you to work with local market clients. You can also use plans and strategies for your own business. If you have your own business, you can increase your business revenues easily. Overall, this course will help to save your time and will help to make the brand as well as to prevent the effect of Social Media Disasters. As we can’t imagine a life without social media, so all types of business have to come here today or tomorrow. On the other hand, every day the marketing procedures will be changed. For this reason, most of the popular company is already planning to make a strong presence in social media. So, you have a lot of opportunities to create an awesome career in social media marketing field. Similarly, you can also start freelancing career from home. A lot of international organizations are searching daily Social Media experts. After all, I’ll tell there has no bound to make an innovative career as a social media marketer. Scheduling Post, Backdate Post, Event, Milestone, offer. How to Target Right Audience. Setting up a Google Plus Business Page. How to find connections relevant to you and your industry. Optimize your content for search. How to get jobs from Marketplaces. 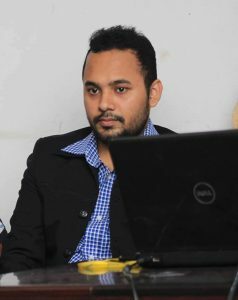 Mahbub Osmane is one of the most popular Social Media Marketing Trainer and also a Social Media Marketing Professional of Bangladesh. He has five years of experience in the Online Marketing field. He is also known as a Mentor and Adviser. 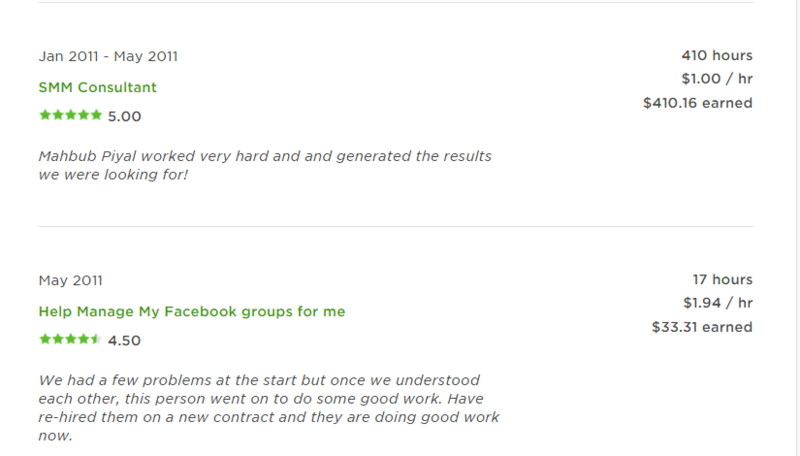 Osmane started Outsourcing in 2011 and started showing his power in the Online Marketing field. Currently, Mahbub Osmane is working for USA Clients. He operates his own Digital Marketing Blog, Mahbub Osmane. Similarly, he is doing a Theme and Digital Marketing Business. He’s also operating an Amazon Affiliate Business. Osmane also works as a Marketing Adviser for few companies. Anyone can join who has the interest to earn currency from Marketplace by providing Social Media Marketing Service. Certificates will be awarded to participants at the end of training. Registration Details: For Registration or additional information fill up this form, please call us at 01716 988 953, 01912 966 448 or E-mail at hi@mahbubosmane.com or mahbubosmane@gmail.com, To confirm your registration, Please pay the registration fee by July 2018 at Mahbub Osmane Office by A/C Payee Cheque or cash. At last, I will tell Social media marketing is one of the best options to make a career in a short time. On the other hand, it has great demand in the marketing field. If you can grow yourself as an expert, you will be able to work from home or in the multinational company from home and abroad. To learn the best techniques, Mahbub Osmane can be your best place. Welcome to the world of Social Media Marketing. Still, got questions in mind? Or want to get a call from us? Just fill-up the contact form or call us at +88 01716 988 953 or +88 01912 966 448 to get a free consultancy from our expert or you can directly email us at hi@mahbubosmane.com We would be happy to answer you.